As young Casall already stood out at the pre-selection for the stallion grading, he was purchased by the Holsteiner Verband from the owner syndicate Hennings and Mehrens. In 2004, Casall was fi rst shown in jumper classes and qualifi ed for the Bundeschampionat. In 2005, Rolf-Göran Bengtsson got the ride on him and won the Schleswig-Holstein 6-year-old state championship at a superior score of 9.5. In the course of the 2007 season, they achieved many outstanding results. In 2009, he achieved excellent results at international competitions, winning the Oslo, Odense, and Stockholm Grand Prixs. In 2010 he won top level competitions in Rotterdam, Falsterbo, and s‘Hertogenbosch. Also in 2011, Casall proved a highly impressive performer and completed his streak of success by winning the Hamburg and Monte Carlo legs of the Global Champions Tour and the world cup jumping in Lyon. At the 2012 London Olympics he qualifi ed for the top 25 fi nal but an injury prevented him from starting. In 2013 he continued his exceptional sport horse career. The 2013 season was crowned by the Herning (DK) European championships where he won team bronze with the Swedish team under his new sponsor name Casall Ask. Following an outstanding performance throughout the championship under his constant rider Rolf-Göran Bengtsson, he finished fourth individually thus becoming the show’s best breeding stallion. 7-year-old jumper champion and the highly successful international sport horses Powerplay under Eric Lamaze (CAN), Casello with Douglas Lindelöw (SWE), Casallo Z under Piergiorgio Bucci (ITA), Casallora with Lars Nieberg and C.T. under Hugo Simon. 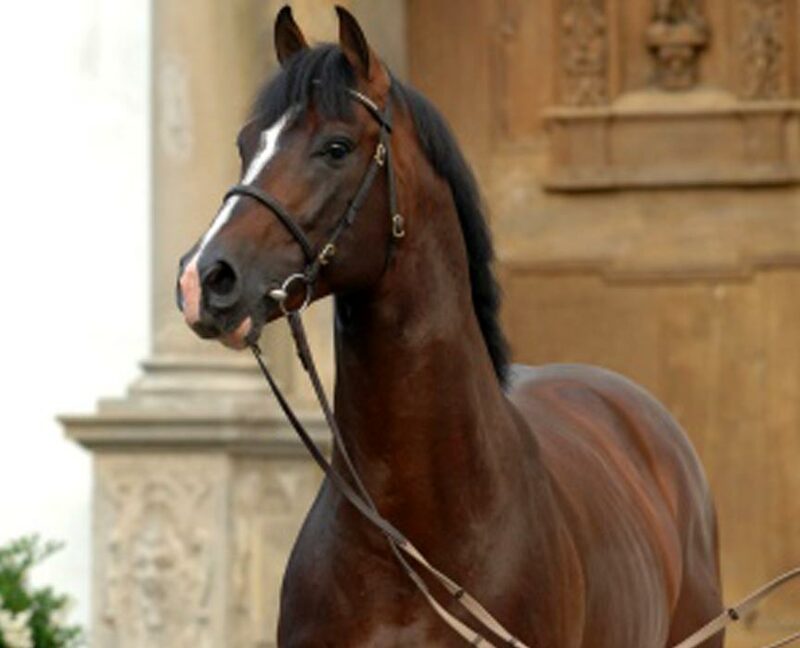 Casall Ask is particularly important because of his sire Caretino, an exceptional stallion epitomising the Holsteiner breeding goal in near perfect way. Casall’s dam Kira has a very interesting bloodline. She traces back to line 890, one of the most successful Holsteiner performance mare families. Kira is by Lavall I, a Landgraf I son. At the 2005 stallion licensing in Neumünster, her son Clarence by Carano won reserve champion. Casall’s 2nd dam, Maltia by Raimond, was an outstanding broodmare also. She produced the mare Taura (by Lord). Taura in her turn produced the licensed stallions Ringo Starr and Cesano I and Cesano II as well as Crocodile Dandy, a gelding with international achievements under Alison Firestone and his full brother Conally, winner of many international classes with Marcus Renzel.